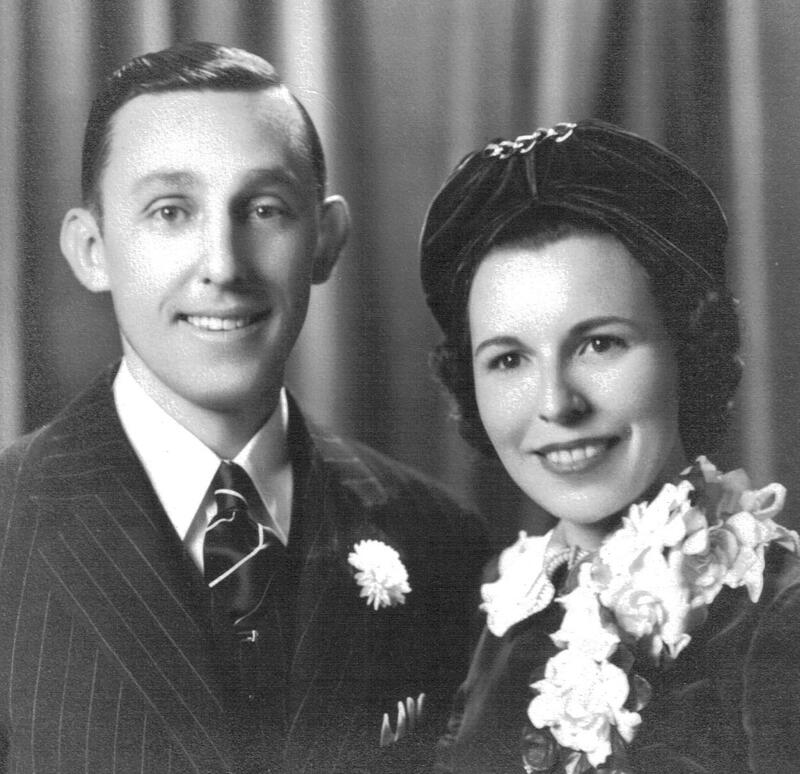 Teresa (Mullen) and Tony Witkins, circa 1940. A year after her mother died, when she was just seven years old, Kathy Mason (Begando) went to live with her maternal aunt and uncle Teresa and Anthony Witkins (Lith. Waitkunas). Childless themselves, the couple took their little niece in with open arms, providing what Kathy calls her “stable home life” until she was 18 and old enough to strike out on her own. Years later, Kathy returned the favor by taking care of her widowed Uncle Anthony Witkins until he died in 2002 in his early 90s. This is the kind of story that gets to the core of family: a love and loyalty that go beyond mere blood or accident of birth. Because of those unbreakable ties, Kathy recently approached me to tell the story of the aunt and uncle who loved and raised her like their own child. Anthony (Tony) Witkins was born in 1910, one of four children of Vilnius, Lithuania immigrants Karal and Helen (Delunas) Waitkunas, who arrived first in Des Moines, Iowa, before moving to Springfield around 1908. As the story goes, Karal mined coal in Pawnee. 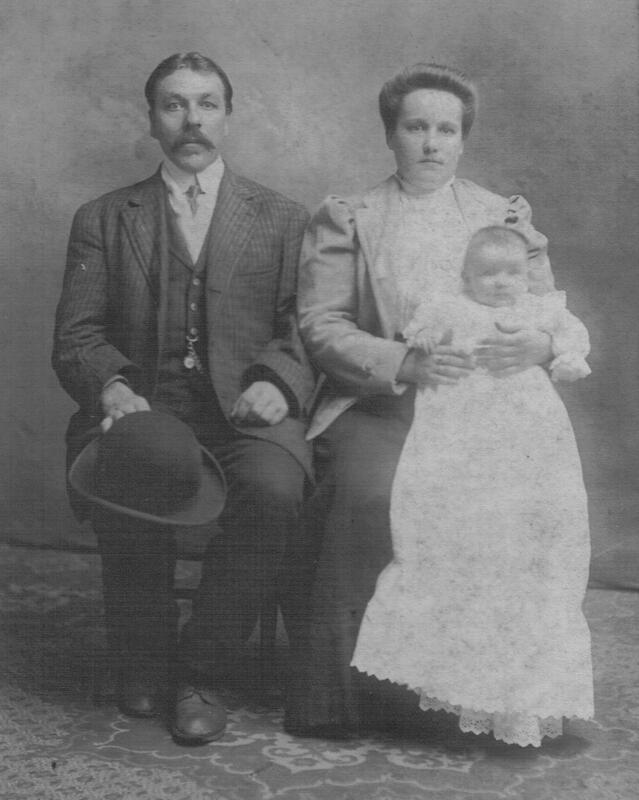 Because he habitually stopped and drank at taverns and saloons all the way home (from work) to Springfield, wife Helen had to board single miners in the family’s small home to secure an income on which she and her children could depend. Karal and Helen (Delunas) Waitkunas with daughter Bernice, 1909. Tony’s siblings were Bernice, born in 1909, Frances, born in 1914, and Veronica, born in 1919. I came across Veronica a few years ago in a photo of the officers of the women’s sodality at St. Vincent de Paul (Lithuanian) Catholic Church. Extremely thin and tall in that photo, Veronica looked close to the end of her road as a victim of tuberculosis. She died of TB at age 23 in 1942, compounding the tragedy of the death of her older sister Bernice from the same disease at age 21 in 1931. What terrible losses for their mother Helen, with whom son Tony remained close all his life. Nor could Tony escape the emotional impact of watching two young sisters who should have been vigorous and healthy slowly succumb to disease. According to his niece Kathy, Tony seems to have responded by dedicating his entire life to physical and spiritual health. On the spiritual side, Kathy reports that Tony rose to pray in his chair every morning at 4:30 before going to work, and was a dedicated parishioner at St. Vincent’s. 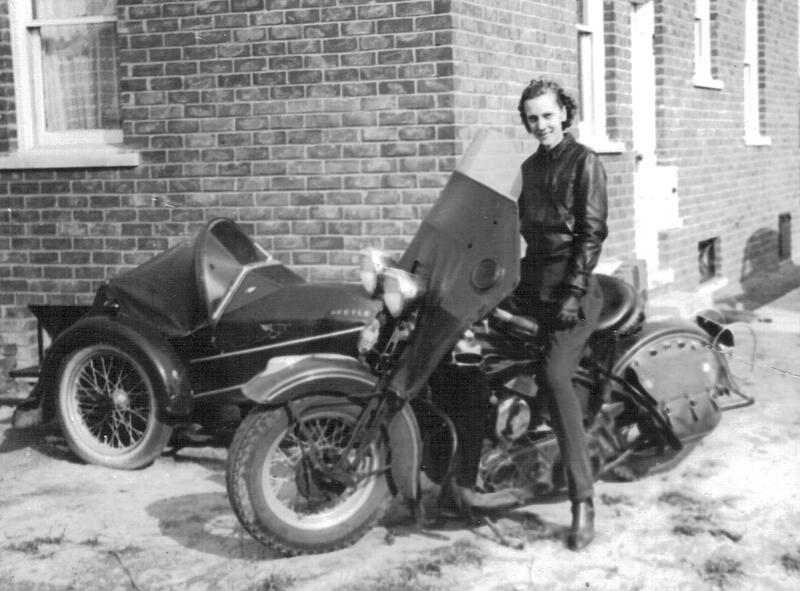 Veronica Witkins poses, perhaps with Tony’s motorcycle. She died of TB at age 23 in 1942. 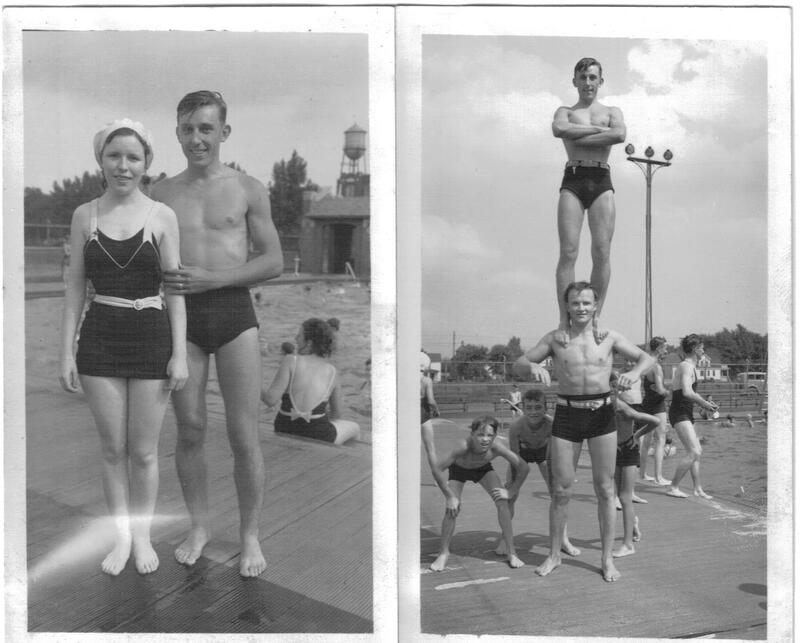 On the physical side, Kathy reports that Tony was a 75-year member of the YMCA and swam regularly for exercise and pleasure. When young, he was also a high-diver at Memorial Pool near Converse and Ninth Street. Throughout his career as a skilled model-maker for electrical instruments, Tony swam laps for 1.5 miles three times a week after work, until about 6:30 p.m.
His factory career started when he was 18 and his mother packed him a suitcase and sent him to Chicago to work for Westinghouse. One day in Chicago, Tony was knocked off the side of a streetcar, hitting his head on the pavement, suffering through a coma, and finally, permanent hearing loss in his right ear. During those Chicago years, Kathy reports that Tony stayed in touch with his mother and his fiancée in Springfield by riding his prized motorcycle all 400 miles of the round trip. Later, he returned to Springfield to marry his long-time sweetheart, Kathy’s aunt Teresa Mullen, on Nov. 18, 1940, and work in a riding lawn mower manufacturing company called Heineke on East Jefferson. At the outbreak of World War II, when Heineke switched to war production, Tony’s boss considered him so valuable to the war effort that he secured him an exemption from the draft. Memorial Pool or Muscle Beach? On left, young Teresa and Tony Witkins. On right, one strong man (Tony) atop another. Later, Tony worked for the Electrotype Co. and the John W. Hobbs company at 11th and Ash streets, which was later bought by Honeywell and shuttered in 2010. For years, the 100,000-square-foot factory made controls, switches, lighting systems, battery meters, and indicators for the transportation industry. Tony was the skilled maker of prototypes or models for these products. Tony had met his future wife Teresa when they were in seventh grade. The two were skilled ballroom dancers, and at one time were even offered jobs as dancers on a cruise ship. Sometime after Tony returned to Springfield from Chicago in the late 1930s, Tony built the couple a home in the 2000 block of North Seventh, even digging the basement by hand. Kathy says that’s because Tony wanted to make sure that he and Teresa had a home they could move into as soon as they were married, which was not the case for most couples as the Depression dragged on through the 1930s. 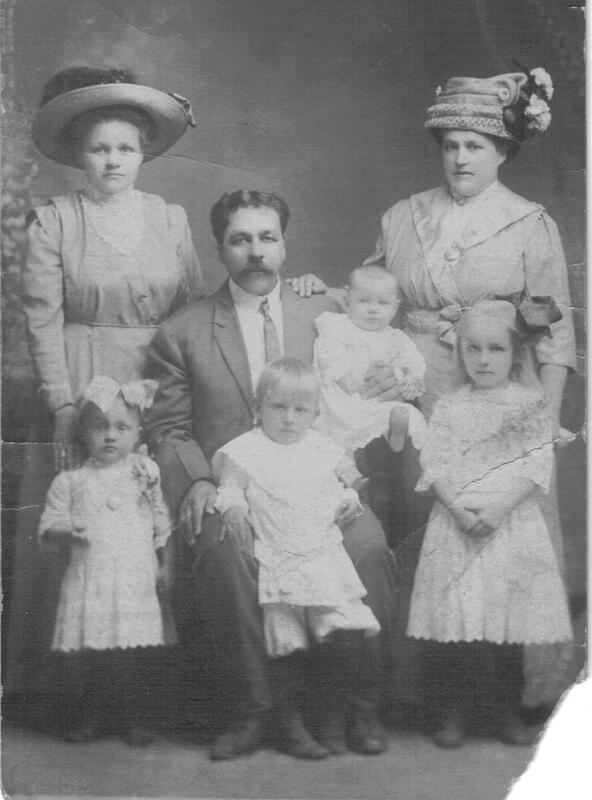 Helen and Karal Waitkunas holding Veronica, with children (l to r) Frances, Tony, and Bernice–plus unknown woman, 1919. Enjoyed that wonderful story! Thank you for sharing! !